Emmett Atwater is just a poor kid plucked from the streets of Detroit. But now he and nine teenagers like him are travelling to a distant planet aboard the Babel corporation's lightship. Before they get there, they are told, two of them will be eliminated. 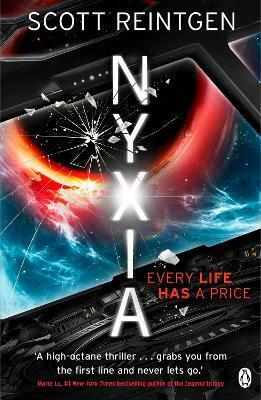 The eight who make it will land on an alien world, where they will hunt for Nyxia, the most extraordinary substance in the universe. But first Emmett must endure frightening tests, rivalry with his fellow chosen ones and the fear that Babel aren't telling the truth. Because if Babel aren't, they'll be trapped, light years from home. And all alone . . .